It will feature instant pairing with NFC-enabled android phones. It’ll use NFC and Bluetooth to pair itself with handset. Connection can be initialized manually as well. Users will have access to several types and design of clock faces to suit their taste. There is My Apps section, which indicates that the smartwatch may support watch-specific apps that could be directly installed on the device memory itself. 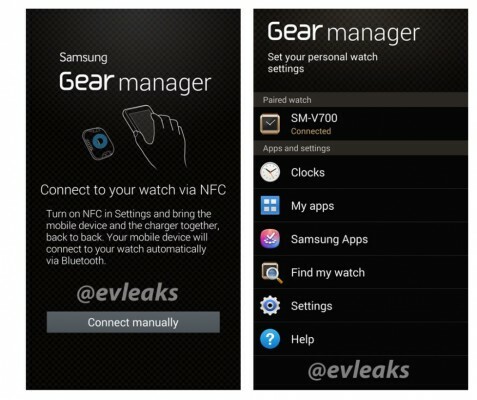 Such smartwatch-specific apps, designed to run on the aesthetics of such a small display, will be available from Samsung Apps store. With Find My Watch option, user will be able to ring the device. Well, with the amount of info presented above, our curiosity has increased. 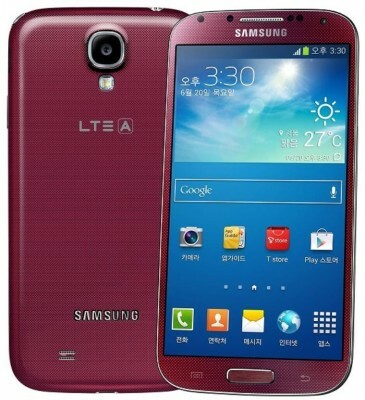 Will it be compatible with other android devices of other brands? Will it have WiFi, GPS module? While you may be curious to ask whether it will be standalone device with sim-card slot, our answer is that it would not be standalone device, based on information from leaked sources and data from rumor mills in the past. 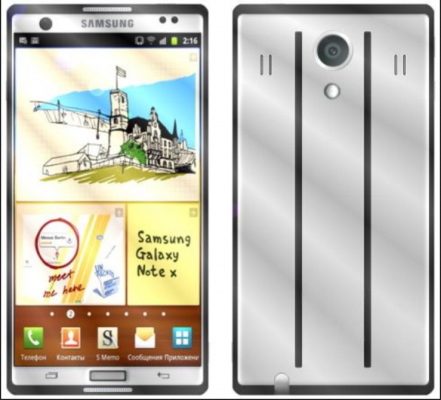 Samsung will also present the next in its Note series phablets – Galaxy Note 3. Excited to know more? Keep following us and we’ll keep you updated!